If you follow along on Facebook, you may have seen this pie already but what I didn't tell you was that the crust was totally Gluten free. 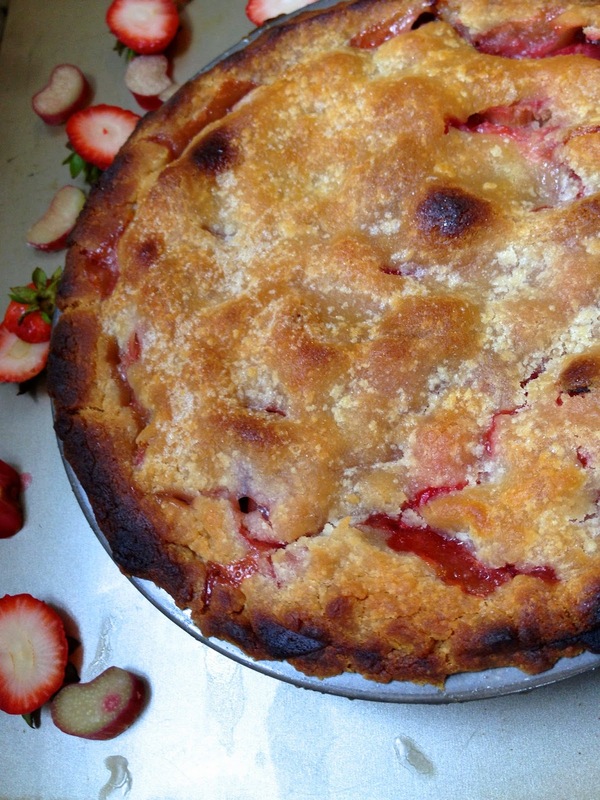 We found rhubarb at the store so a request was made for a strawberry rhubarb pie. I have had basically zero energy recently trying to fit in time at home taking care of Will with basically 24/7 research. Add in the recent boom in blog stuff and Etsy sales (not that I'm complaining about those at all) and my computer completely failing me and the fact that 2 AM and I have become best friends shouldn't be too surprising, but it's definitely starting to take a toll. So anyway, I normally make my crusts and usually love it. I make a copious amount of pie for Thanksgiving but this time I just wasn't feeling it (aka no energy) so I headed to the pre-made crusts section... really I went to the frozen section and someone had to show me where pre-made crusts live... and grabbed a couple of the already rolled out versions. I figured a little wheat wouldn't hurt me any more then staying up to 2 every day for a week... and then I saw it. 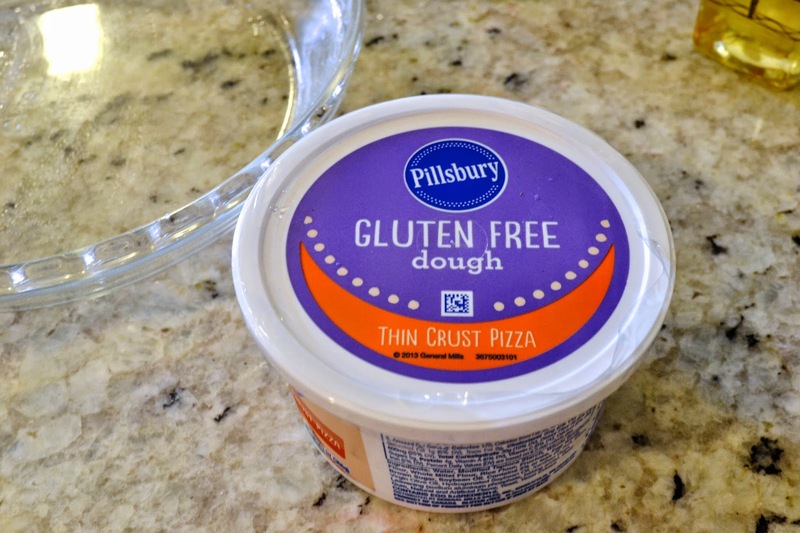 I don't know when this happened (and Pillsbury has no idea I'm writing this post) but Pillsbury came out with pre-made pie crust and pizza dough! I got one of each and that night used half the pizza dough to make a tomato pie (the recipe I used is linked) which for me is up there for comfort food. The dough was easy to use if you followed the directions and tasted really great. It was a little chewy but I think I over cooked it a little. Despite the pizza dough success, it took me most of the week to make the pie. I cut up half the strawberries and rhubarb and tossed them with a little sugar and intended to let them sit until the afternoon (I like doing this with tart fillings). A couple of days later they were still marinating (does that sound gross for something sweet?) in the fridge. They lost a lot of volume but it worked out that when I cut up and added the rest of the strawberries and rhubarb it was exactly the right amount for one pie. The pie crust was easy to work with as well but I do recommend it to be very cold when you try to roll it out and definitely use parchment or wax paper. I overcooked it a little again but it also was really good and didn't seem like a GF crust. I do think they used a lot of fat to help compensate but as a special treat it was super convenient and significantly faster than making your own crust.